Take advantage of your existing street lamp standards and create a dramatic, highly visible and effctive advertising program in your town by incorporating pole banners into your BIA promotion program. Customize the durable vinyl graphics for seasonal events, historic celebrations, special event promotions or all year long and see the beneficial effect on local commerce, tourism and participation in regional events. 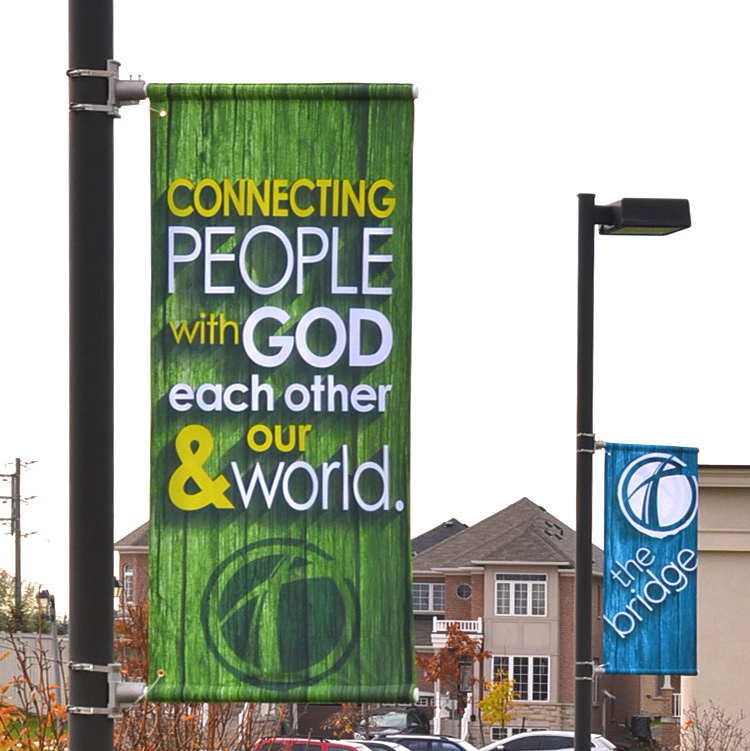 Pole banners are designed to withstand all types of weather for months and are easy to install. Smartlink can guide you through the entire process from concept and design to final installation.